Well, I have just had a huge and fantastic weekend of intensive walking for the Geelong and Bellarine book – the cloud cover and warm-but-not-hot weather we are experiencing at the moment is just perfect for getting out in the summer. 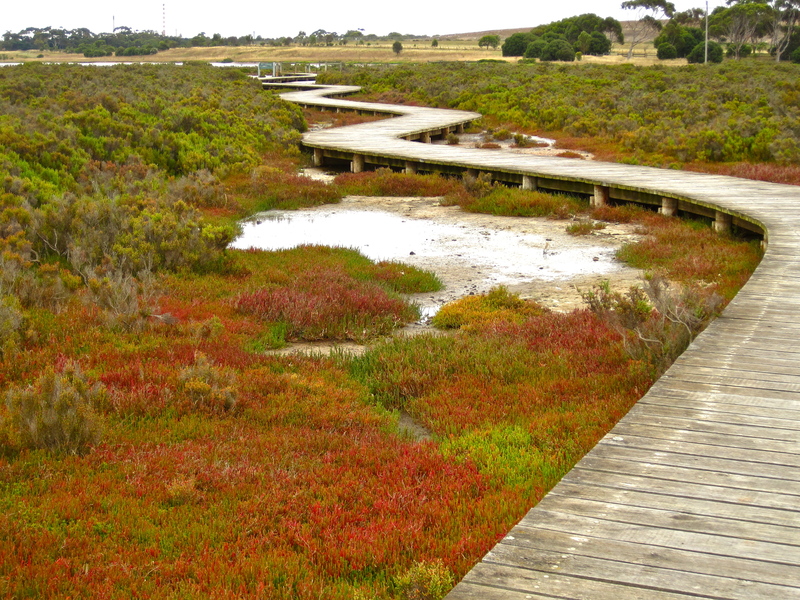 On Saturday, I explored the saltmarshes and inter-tidal mud flats on the bay around Geelong. My first, early-morning walk took me to tiny Kirk Point, near the bird-watching mecca of Pt Wilson, for a really out of the way short stroll along the shoreline with views straight across to the Mornington Peninsula – a perfect stretch out for walkers with dogs, though they need to stay on-lead. 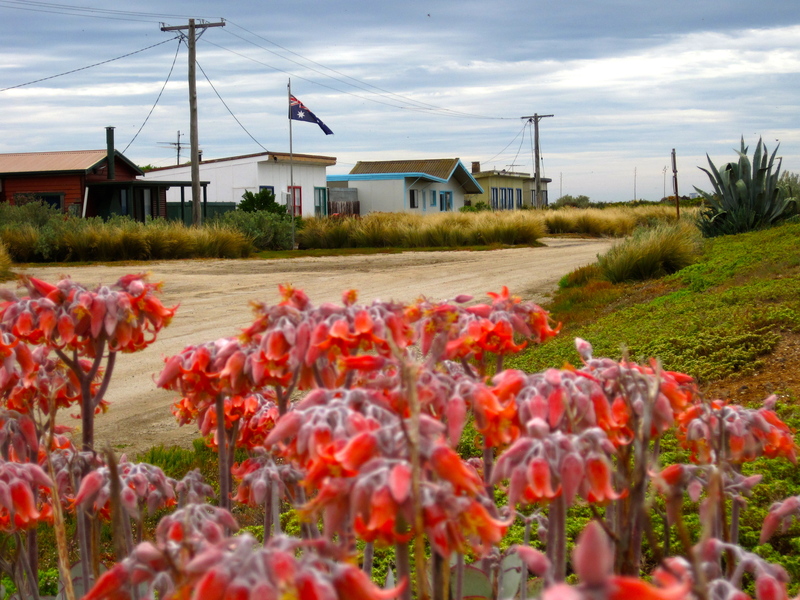 Next I went for a drive past the quirky beach shack community on Avalon Beach, behind Avalon airport. The newly born mosquito population (which numbered in the trillion billions at least!) kept me at bay there, but with plans to secure a permit to walk through the extensive salt pans managed by Cheetham Salt ….. in the non-mosquito season! I then headed out to the Hovell Creek walking track in North Geelong. This well-made combined bike/walking path goes all the way from the northern tip of Corio Bay, which is known as Limeburner’s Bay, through to the small town of Lara, and has the height to provide good views back across Corio Bay to Geelong. 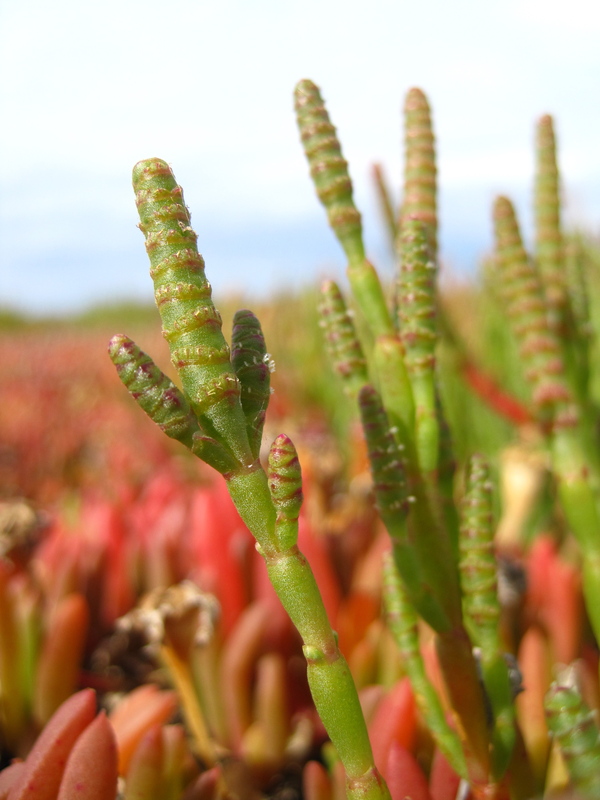 While very exposed, there is a treed picnic rest point from where you walk down onto the Conservation Area saltmarshes via a delightful boardwalk, which takes you right out into the mangroves at water’s edge. The track is not signposted from the main trail, so it was a real delight to stumble upon. I continued on to Lara and lucked onto the lovely Lara Lakelands Reserve – which is an absolute oasis for waterbirds in the middle of the harsh plain landscape: there were Royal Spoonbills, purple swamp-hens, coots and even two huge nesting herons – right in the middle of the town! Inspired by the Limeburner’s Bay name, I finally drove into Geelong and past Eastern Beach to Limeburner’s Point to try and find the elusive Limeburner’s Kilns. Luckily, it was low tide, and a passing gent walking his dog helped me find them (thanks, Peter! ), buried in under the cliffs beneath the golf club. They are such an important national heritage treasure, and still in excellent condition, so I do hope the City of Geelong will get involved in upgrading access to them. Off to the You Yangs tomorrow! Thanks @jinikudesigns – maybe something to inspire your new season’s palette? ?